The first thing I wrote that I didn’t delete started as a list of strange things my parents said in conversation. For years when I visited them, I’d be jumping up from the dinner table to grab a pen and record something odd they’d just said. Those quotes became most of the dialogue in my first story. I need to start doing that again. My parents have some great lines. My first job was at one of those olde-timey photo parlors. I helped people put on grimy cowboy and saloon girl costumes and then sold them sepia-toned photos of themselves. We never washed the costumes. We just sprayed them with Febreze. It was foul. What else? I’ve sold books. I’ve sold chocolates in a fancy chocolate shop. I’ve sold Maui Jim sunglasses to power boat people in Annapolis, Maryland. I taught English to bankers in the Czech Republic. I conducted due diligence investigations to determine if foreign subsidiaries of U.S. companies were taking bribes or otherwise criminal. I was an adjunct English professor. And now I work full time as a writer at a public health consulting company. The 4th of July parades in the town where I grew up. I come from a huge, close family, and I was always very supervised. I remember watching the parade every year with my family, wishing I was less supervised and less socially awkward so that I could go do something reckless. Parades in small towns have a much weirder energy than parades in cities. There’s something “Lottery”-like about it, like all your friends and neighbors might suddenly rip off their neighborly faces and have a bacchanalia. It’s always so disappointing when the parade ends and you’ve missed the moment to transgress. I get frustrated trying to invent places, so I tend to set things where I’ve lived. Mostly the towns I lived in as a child on Cape Ann, MA. I like to write in silence or with NPR playing very quietly in another room. But right now, as we speak, a crew of men is demolishing the building next door to my house. So that’s the specific music I’m currently working with. I try to start writing the minute I wake up, before anything unpleasant can happen. If I wait too long, I start thinking about my student loans or the state of society, and then it’s all over. When I’m anxious, I watch interviews with ballet dancers on the internet. I never learned to move my body around in any organized way. Ballet looks so organized. And the dancers always talk about expressing their joy through movement. I’d love to be able to express something other than confusion and sloth through my movements. The weather’s getting spooky, so I’m reading spooky stories now: Sarah Waters, Ludmilla Petrushevskaya, Shirley Jackson, Kelly Link, Patricia Highsmith. LAURA WILLWERTH lives in Western Massachusetts and has an MFA in Fiction from the University of Massachusetts Amherst. 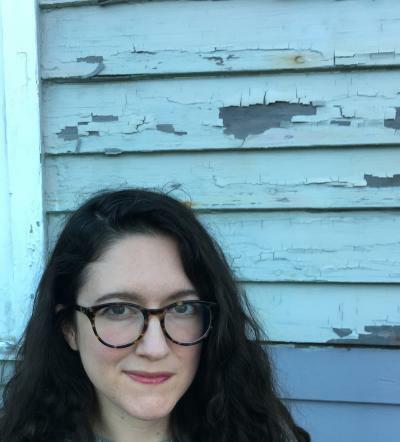 Her work has appeared in The Sun, the Massachusetts Review, and Cosmonauts Avenue, and her chapbook, Trump It: Words I Found on the Right, was published by Factory Hollow Press. 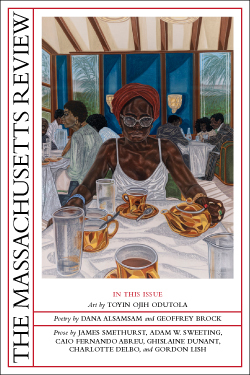 She received a 2018 Artist Fellowship in fiction from the Massachusetts Cultural Council.